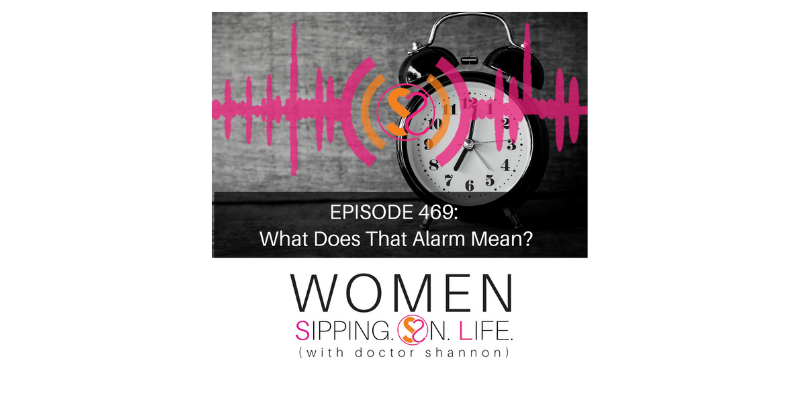 EPISODE 469: What Does That Alarm Mean? Today we take a closer look at how to respond, react, or create when the alarm goes off. 1. Where is this coming from? Then you can choose whether to respond, react, or create. Where in your life right now is there an alarm going off, but you’re ignoring it? Write it down and circle it. Where in your life right now do you feel triggered — like an alarm is going off and there’s an emergency situation going on — but the truth is, it’s not? !. Where it’s coming from. 2. What meaning you’re giving, or not giving it. 3. How you’re going to respond.